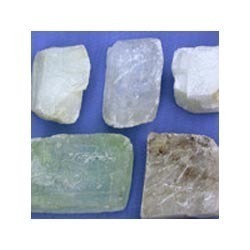 We are offering quality Calcite Lumps, which are highly demanded in the domestic as well as international market. These Calcite Lumps are extracted from the mines . We offer Calcite Lumps in varied grades to suit the client’s requirements. Our organization deal in best quality of Calcite Chunk and we offer them to our clients. This is widely used in the jewellery industry and is available in different shapes and sizes as per the needs of the clients. The entire collection of Calcite Chunk is appreciated for its excellent finish, smooth-edge and attractive look. 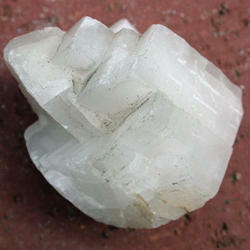 We are involved in offering a wide assortment of premium quality Calcite Lumps to our clients. It is processed at our temperature controlled production unit as per the defined industry norms under the guidance our experienced professionals. The offered Calcite Lump is available in different sizes to meet the varied needs of our clients. We have mining of Calcite/ Calcium Carbonate in India as well as Vietnam. We can provide you the best material at the best of Price. We offer a wide range of calcite lumps to our clients at reasonable rates. Our range is widely used for various applications, and is available in several sizes, designs and shapes. Also, these can be customized as per the specifications of our esteemed clients to suit their varied requirements. Owing to the quality material, the assortment is used in ceramics and glass industry. URT Exports Supply best quality calcite with best price, We having our Own mins in India so we can able to supply any bulk quantity on regular basis. To retain our goodwill in client's consideration, we are manufacturing an excellent quality range of Calcite Lumps.